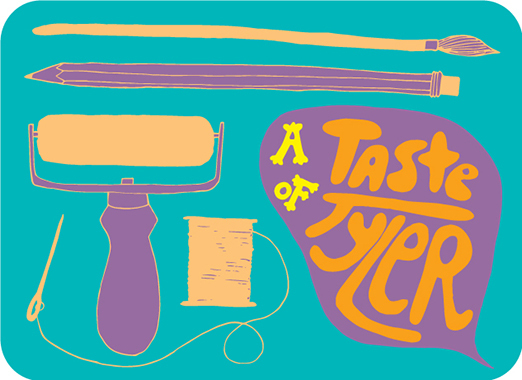 Join us for an afternoon of taste-testing through hands-on art making and learning workshops with Tyler's Art and Art Education and Community Arts Practices faculty and staff. Now in it's second year, this professional development event is co-sponsored by Art Education and Community Art Practices and Tyler Continuing Education. We look forward to feasting with you! 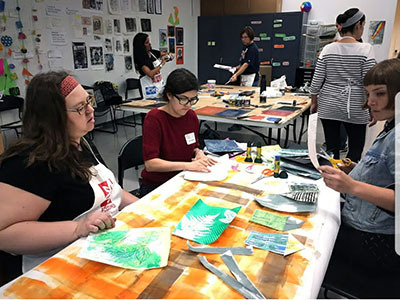 Earn 2.5 Act 48 Hours provided by the School District of Philadelphia for district art teachers and the Pennsylvania Art Education Association- paeablog.org for non-School District of Philadelphia art teachers. *From 12:30 -1:15 the Tyler Glass Program will be presenting an exciting glass blowing demonstration for Taste of Tyler attendees. All are welcome to attend the demo prior to the start of the workshops! The demo will begin approximately 30min before the Taste of Tyler sign-in. All artists need to warm-up and practice. 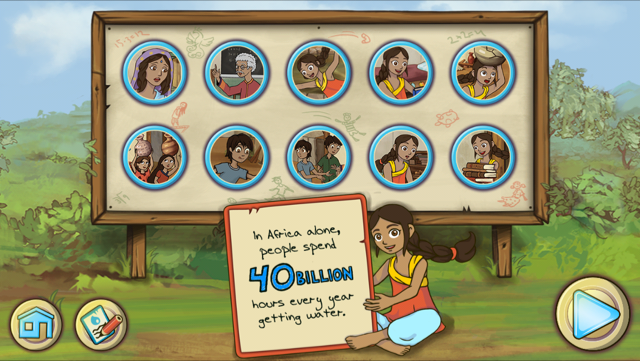 How can we do this in the art classroom with limited time? 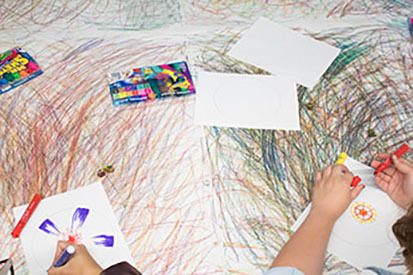 Quick arts-based activities open creative pathways to learning. Participate in short activities that engage with contemporary art. We will write, move, act, and create mixed-media visual artwork. Enliven your art making/teaching toolbox to share with your students. Wendy Osterweil is a printmaker and fiber artist with over 30 years of teaching and community arts administrative experience in schools, university, artist residencies, art centers, workshops, and out-of-school programs. She taught art at Germantown Academy in the Lower and Middle Schools for 14 years. Workshop venues include: Kutztown University, Philadelphia Museum of Art, Long Beach Island Art Foundation, Peters Valley Craft Center, Lakewood School District, NJ, CASEM in Costa Rica, and Osterweil’s Left Hand Print Studio. She exhibits nationally and had a major installation exhibition at the Painted Bride Art Center in Philadelphia in 2012. Wendy Osterweil earned her MFA in Printmaking University of Wisconsin-Madison and her B.S. in Art Education Temple University. Video games were officially deemed works of art by the Supreme Court in 2012. By the age of 21 the average gamer has logged 10, 000 hours of play time, which is roughly equal to the amount of time a person spends in school. As art educators, we have a responsibility to support student interests and critical engagement related to these works of art and visual culture. Through this workshop you will learn about a special genre of free, accessible, social justice games, and we will engage in hands-on projects and activities inspired by such games. Dr. Renee Jackson earned a PhD from the Education Department at Concordia University in Montréal, Québec Canada, an M.A. from the Art Education Department at Concordia University, a B.Ed from the Nova Scotia College of Art and Design in partnership with Mount Saint Vincent University in Halifax, Nova Scotia, and a B.F.A. in Visual Arts from York University in Toronto, Ontario. She has been an arts educator for seventeen years teaching first at the elementary and secondary levels in both public and private school settings. She was a lecturer on the faculty of Education at McGill University in Montréal for six years, and has also worked for the last six years in a community arts capacity with the nonprofit organization Culture for Kids in the Arts in Hamilton, Ontario. She served on the executive board for the Canadian Society for Education Through Art (CSEA/SCÉA) for seven years as a vice president and director. Dr. Jackson’s art and teaching practices aim to inspire a sense of wonderment in both viewers and students. In her art practice, she works with everyday materials in unexpected ways to fabricate surreal creatures and situations, encouraging viewers to create their own narratives within her work. As a teacher, she emphasizes the ongoing development of artistic capacities in order to discover or further one’s personal sense of curiosity and determination through active engagement with life. A hands-on workshop sharing movement and theater tools for investigating students’ communities of origin. 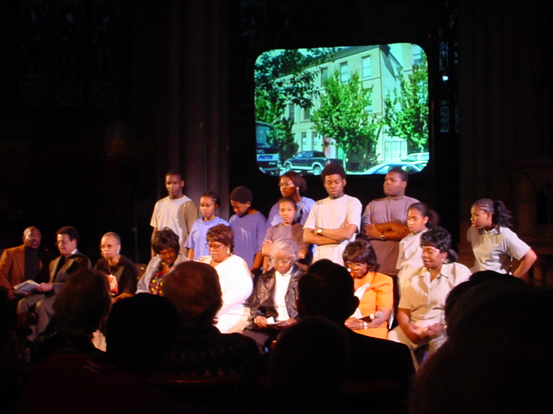 Participants will learn to transform gesture, visual memory and oral history into performance, and strategize to apply these for classroom applications. Explore a unique, goal-oriented approach to teaching the fundamentals of 2-D design. Through hands-on exercises reinforcing concepts, vocabulary and visual organization, participants strengthen their own design thinking skills and develop some strategies to convey and explain design more effectively to students. This workshop’s methodology is equally applicable to a wide variety of art practices including the fine arts, applied arts and digital media. Buy Shaver is an assistant professor in the Foundation department at Tyler School of Art. He has a multi-disciplinary visual arts background that includes Eastern and Western painting, graphic arts and illustration, exhibition design, and conceptually based installation art. 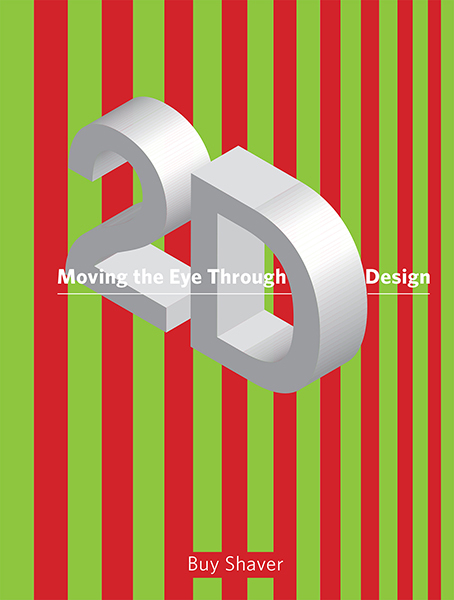 He is the author of Moving the Eye Through 2-D Design—A Visual Primer. Buy Shaver received an M.F.A. in drawing and painting at the University of Georgia, Athens and studied at Soochow University, Taipei, Taiwan. Therapeutic Art or Art Therapy - Which is it? Art making is a great method to channel emotions, to de-stress, and to manage frustrations. Come experience two therapeutic art approaches that can be utilized in the art classroom or other alternative settings, and learn how art making can be used as a self-care strategy for educators. Dr. Lisa Kay, Associate Professor, Chair of Department of Art Education and Community Arts Practices, Tyler School of Art, Temple University, earned an Ed.D. from Northern Illinois University, an M.A. in Art Therapy, and a B.F.A. in Graphic Design from the University of Memphis. A board-certified art therapist, Lisa’s research and publications concern the intersections and collaborations between art education and art therapy. Her forthcoming book Therapeutic Approaches in Art Education will be a part of the Art Education Practice Series published by Davis Publications. She is also a contributor to the new book: Art for Children Experiencing Psychological Trauma: A Guide for Educators and School-Based Professionals. Dr. Kay is a Fulbright Scholar, the recipient of the National Art Education Association (NAEA) 2014 Women’s Caucus Mary Rouse Award, and the 2016 NAEA, Council on Exceptional Children (CEC), Kennedy Center Very Special Arts (VSA), Peter Geisser Special Needs Educator of the Year for her significant contributions to the art education profession. Lisa enjoys gardening, flea markets, long road trips on blue highways and creating in her studio and the kitchen.